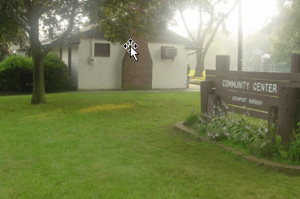 Since 1952 the Oceanport Lions Club has dedicated the talent of its members and the funds raised from its activities to promoting for all the citizens of Oceanport. 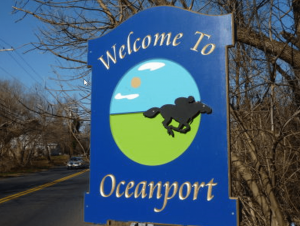 Oceanport is a great place to live and raise a family. WHY DO THEY COME AND WHY DO THEY STAY? Oceanport is a community measured by what it provides for its citizens and what its citizens contribute toward its future. 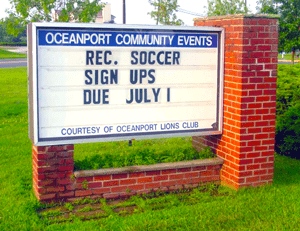 The Oceanport Lions Club has dedicated the talent of its members and the funds raised from its activities to promoting, for all the citizens of Oceanport, a spirit of community and cooperation; both in how it conducts its affairs and through its charitable donations to a multitude of organizations and individuals in Oceanport. From 1996, the Oceanport Lions’ Strawberry Fair has served all the people of Oceanport through charitable donations from the proceeds. Severe economic conditions have impacted everyone. Our country, states, counties, and municipalities are hard pressed to produce a balanced budget. Along with the challenging financial times, the Oceanport Lions Club fair this year dealt with events that had a negative impact on the money raised. However, the Oceanport Lions Club commitment to the people of Oceanport is solid. Bigger, Better, and Safer than ever. Thank you Oceanport for your support. YESTERDAY 1972 . . .
● The Lions Club embarks on a bold plan to construct a community pool at Blackberry Bay. 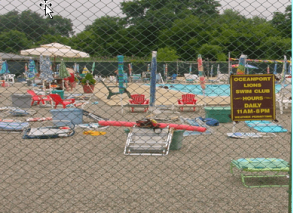 YESTERDAY 1973 . . .
● The Oceanport community pool is a reality for all the people of Oceanport. ● The Oceanport Lions Club is pleased to announce a special memorial donation. 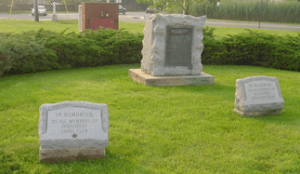 ● This memorial donation will honor not only Lions Club members but also non-Lions members of the community that have faithfully served the borough of Oceanport. ● While they are no longer with us, they have given us a mosaic of dedication to family, country and service for the youth of today and tomorrow. ● The Fair is an official State of New Jersey Agricultural Event. ● The rides are supplied by Amusements of America, the Nations largest traveling ride company as listed in the Guinness Book of World Records. 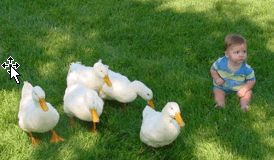 ● One of the largest traveling petting zoos in the nation. Strawberry Shortcake, sold as a fund raiser. ● The Oceanport Lions Club awards its academic achievement and community service scholarship to a deserving scholar each year. ● The Oceanport Lions club donates all the funds raised in its charitable activities. ● The Oceanport Lions club continues its commitment to providing a quality of life for all the people of Oceanport. ● Mazza & Sons Inc. Lion John M. Bonforte Sr.